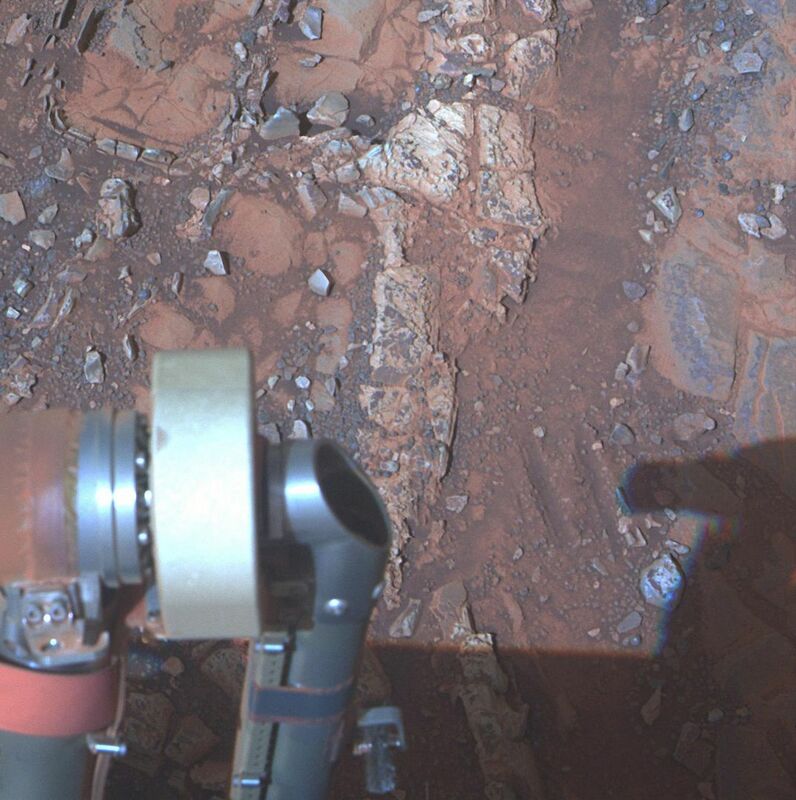 Highlights from a rover’s 14-year trek. There is one moment that haunts Larry Crumpler. He’s a volcanologist who has been on the science teams of several Mars missions, but most prominently as part of the daily operations of NASA’s Mars Exploration Rovers. 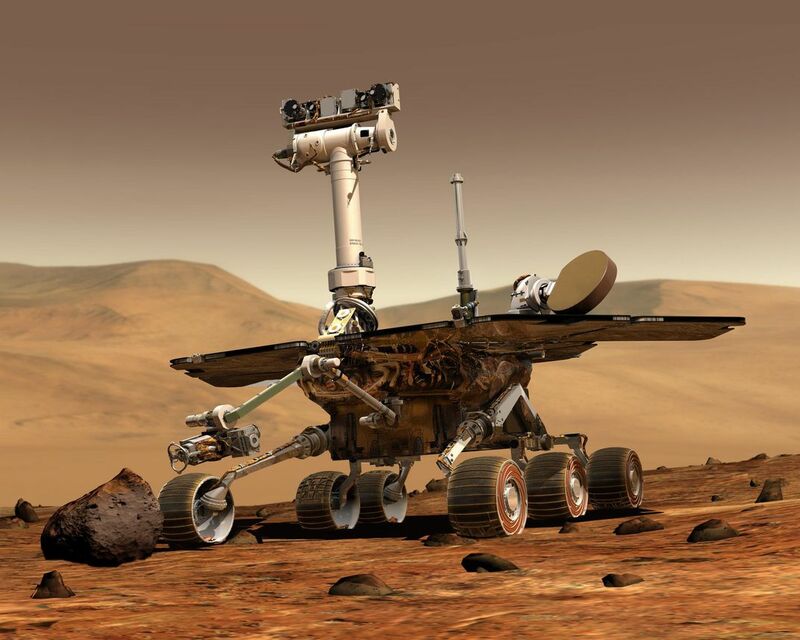 The rovers, Spirit and Opportunity, landed on opposite sides of the planet in 2004. In 2007, Spirit passed through an area with some lava that got Crumpler’s attention. “We were on a slope, above which was an escarpment with basaltic rocks that had just tumbled down,” he says. “There was a big one right there, just a few meters away.” Spirit was so close. If he could just drive the rover over and examine the rock up close, he might discover whether the lava had flowed onto ice, water, or dry soil. He might discover evidence, in other words, of water—exactly what the mission was sent to find. Here on Earth, a team of scientists and engineers have dedicated much of their careers to the rovers, some for as long as three decades, going back to when the mission was first conceived. 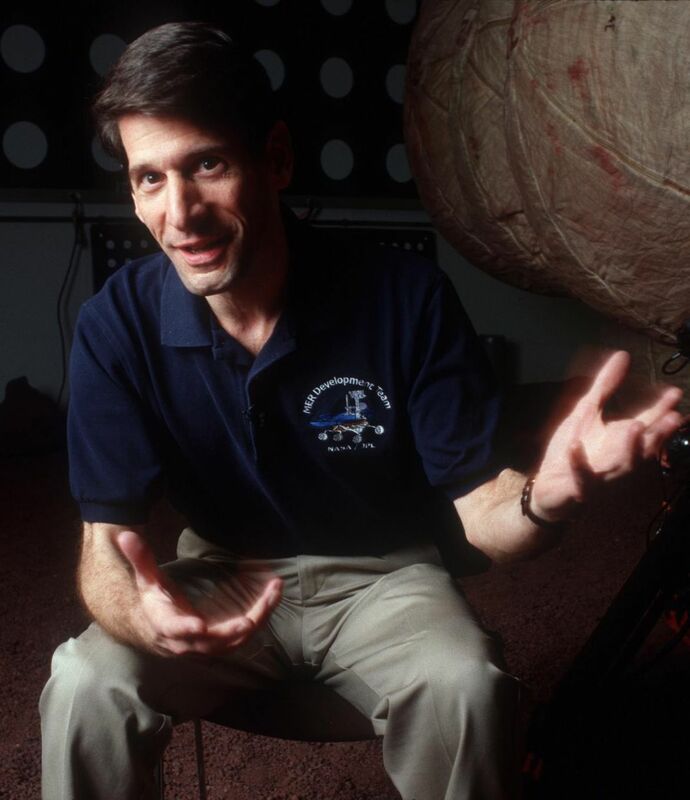 Planetary scientist and principal investigator Steve Squyres was on the Voyager and Cassini teams, and contributes to several other Mars missions. John Callas, a physicist who has worked on seven other Mars missions, is Opportunity’s project manager. Squyres, Callas, and Crumpler have plenty of memories to share about the experience of driving an explorer inch by inch around an alien landscape 34 million miles away. What was the trickiest driving experience? 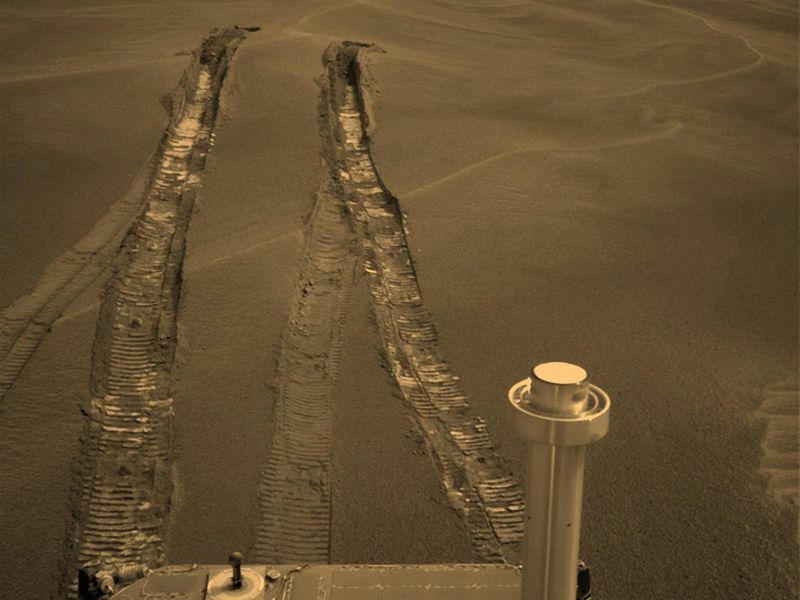 “Opportunity drove into a dune and got buried up to its axles” in 2005, Crumpler says. The rover is designed to drive over both hard surfaces and soft soils, and to climb over obstacles up to 10 inches high. Yet Purgatory, the name the team gave the sandy ripple that turned into a sand trap for Opportunity, was about a foot tall and eight feet wide: the outer edge of the rover’s capabilities. “Although we had crossed ripples before, none were quite like Purgatory in size and its complex, asymmetric structure,” Callas says. Complicating the problem was the communications delay. The rover team typically sends up all the instructions for the day’s operation, and the rover downloads its report several hours later, when one of the satellites orbiting Mars passes and can relay the information to Earth. So when Opportunity’s wheels started digging into the dune, it just kept on pushing forward as instructed. By the time it stopped for the day and the team discovered the problem, it was mightily stuck. “We realized how serious this was, and we had to spend a lot of time understanding the situation and trying to re-create it on the ground,” Callas says. Luckily, brute force was the answer: “We just spun the wheels backwards and allowed enough time”—almost three weeks—“and it eventually popped out.” By the time Opportunity finally backed three feet out of the sand, its wheels had turned enough to move it 629 feet. The team reprogrammed the rovers to stop driving if they haven’t moved as far as the number of wheel rotations should have taken them. Still, it was this very problem that proved to be fatal for Spirit. In 2009 the rover drove toward an area that was smooth and strewn with pebbles, indicating what seemed to be a hard surface. “We started driving and we broke through a crust that was a couple of centimeters thick into powdery dust,” Crumpler says. “What looked like a perfectly rocky surface was worse than quicksand.” Engineers spent nearly nine months trying to extract the rover from the trap. In 2010, Spirit sent its last communication to Earth. A few years ago, Opportunity suffered a somewhat relatable problem. “The rover would wake up in the morning, and it didn’t remember anything about yesterday. ‘What plan? You didn’t send me a plan,’ ” says Crumpler. Then the next day the rover would remember fine, but a few days or weeks later it would happen again. That overnight recall uses the rover’s long-term, or flash memory. The team eventually resolved the situation by using only RAM memory, a strategy that created a new problem: When Opportunity is put into sleep mode at night, the data that it collected that day is erased. “That means we have to keep the rover awake until the overflight of that orbiting spacecraft,” Crumpler says. Steve Squyres has a different scariest moment. He still remembers the tense days just before Opportunity’s landing. 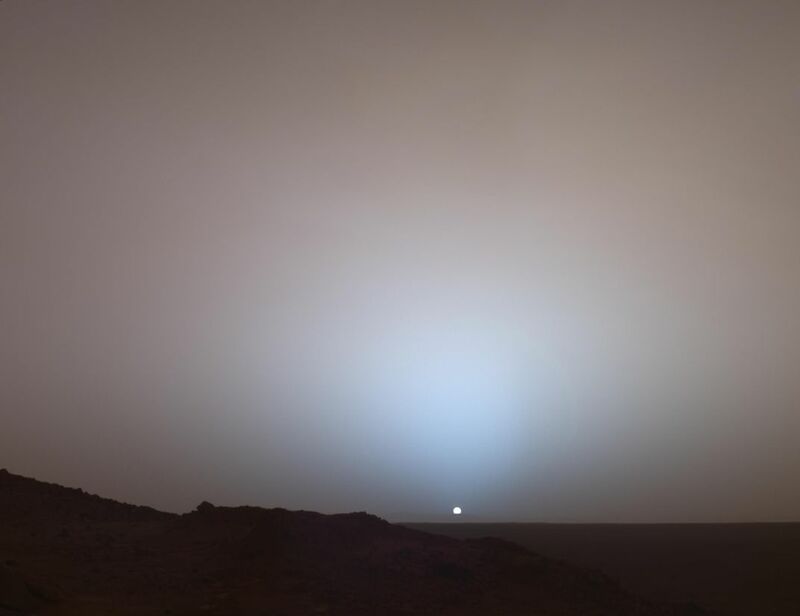 Spirit had arrived on Mars first, and about two weeks later, “we lost [communications with] the vehicle. The computer on board was crashing and rebooting every 15 minutes. The Opportunity landing was scheduled to happen 21 days into Spirit’s mission. 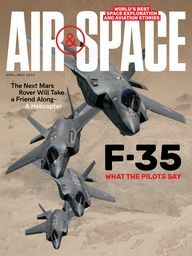 So at the very same time that we’re dealing with possible loss of one vehicle, we’re getting ready to land the other one.” Then they discovered a dust storm was incoming, which would change the density of the atmosphere and affect Opportunity’s descent. “If we had gone with our original plan for how to deploy the parachute, we would have deployed the parachute too low. I can remember sitting in a control room with Spirit apparently dead, or least not talking to us, and Opportunity barreling in on the planet with a dust storm going on and thinking, We’ve put 16 years into this, and it could all be over tomorrow.” It’s a story he understandably feels better telling 14 years later. “The big surprise was how scientifically diverse and fascinating Mars turns out to be,” says Squyres. “It’s a far more interesting and complicated place than I had ever imagined.” Not only did the team find evidence of water, it also showed that the planet had experienced more hydrothermal activity in the past than scientists had expected. 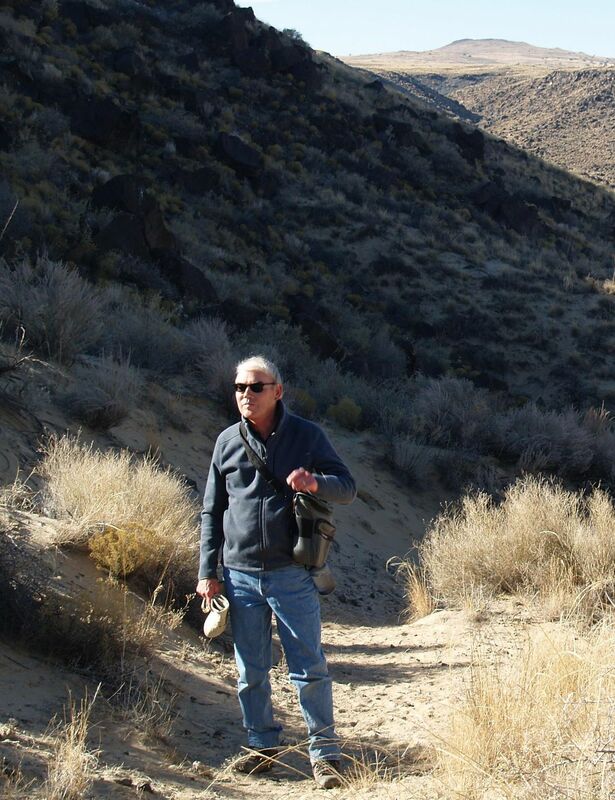 Crumpler was surprised that “Mars has a geological terrain that is pretty much like Earth’s. When you go to the moon, it’s all smashed, all gray, and there are big [terrain features] that are tens of kilometers across. 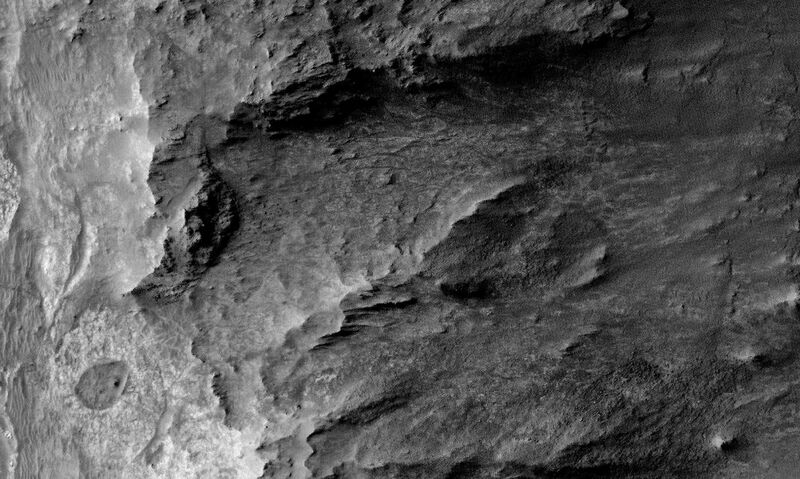 Mars is just like the geology here on the Earth, same scale, same sort of detail, same ability to do stratigraphy”—that is, to study layers of deposits. What is the strangest photo Opportunity has taken? 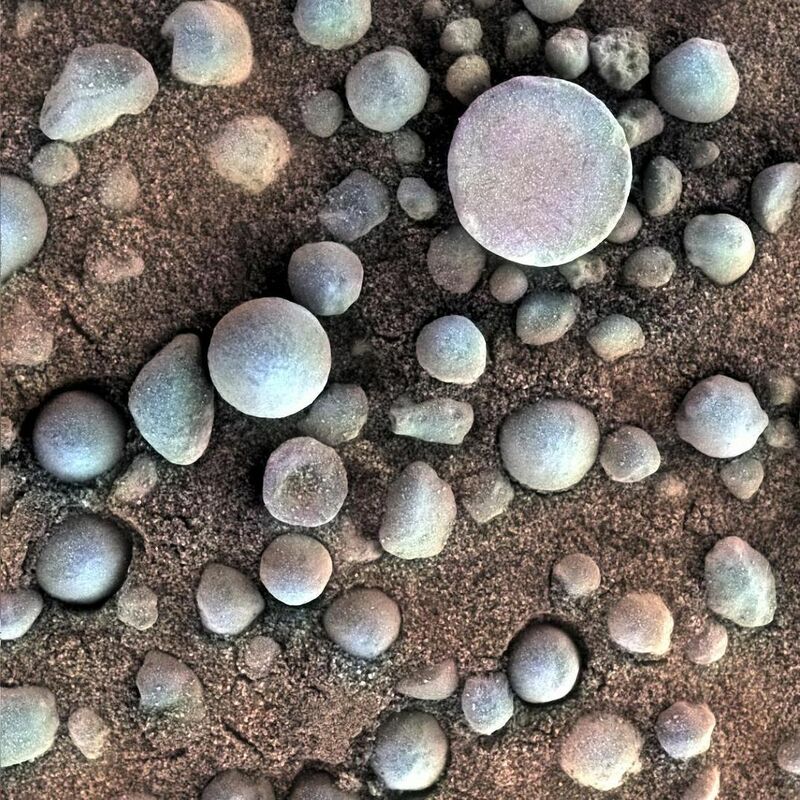 “Very high on my list would be the first microscopic imager picture of the things we came to call ‘blueberries’ at the Opportunity landing site,” Squyres says. “There are these uncountable number of little perfect spheres. That was pretty weird.” In the following years, Opportunity found clusters of blueberries at other locations, both on the surface and buried in the soil. The spheres are actually gray, but they appear blue in images that use false-color technology to emphasize details. Scientists determined that the spheres, a few millimeters in diameter, are made of an iron oxide called hematite and were likely formed by water from precipitation that flowed through rocks. What was your hardest decision? 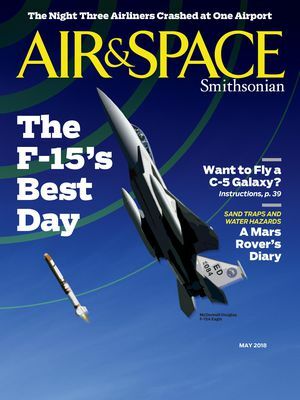 Callas anticipates his hardest decision regarding Opportunity is going to be a moment in the future—one he already experienced at the end of Spirit’s mission, in May 2011. They had already lost communication with the rover in March 2010. “We weren’t sure that it had actually failed,” he recalls, “but may have been in some sort of a fault condition. So we sent something of the order of 1,400 commands to the rover at different times, in different ways, in order to elicit a response. And we did it over an extended period. Eventually, you have to say ‘That’s enough,’ ” and you have to say goodbye. What has been the rovers’ greatest discovery? The promise of new discoveries, along with Squyres’ difficult decision to try to reach the distant site, made Endeavour Crater his most anticipated destination. At 14 miles wide, Endeavour would be the largest Martian crater ever visited. The rocks exposed by the impact would be the oldest examined up close—it was a direct look into the planet’s history, and it proved that Mars was at some point potentially habitable. Why do people anthropomorphize the rovers? At almost five feet high, Opportunity is a bit smaller than the seven-foot Curiosity rover, but much bigger than Sojourner, which landed in 1997 and was only a foot tall. Opportunity allowed scientists to see things “at the human scale,” says Crumpler. Loretta Hall is a Certified Space Ambassador for the National Space Society and author of The Complete Space Buff’s Bucket List.